If you are looking for an entry level bowling ball or a ball that is not going to react strongly to the dry or oily parts of the lane then the Brunswick Rhino might be perfect for you. This ball balances power and control with the combination of the R-16 reactive coverstock and a light bulb core. A great ball for all levels of competition. A total shocker for an entry level ball. If you're looking for control and predictability this is your ball. This ball truly shines on lighter oil patterns and is very angular off the spot for me. It allows me to play my A game when the fronts are pretty stripped and it hits like a truck. This can be a great ball for a league bowler looking to get into reactive cover stock equipment and can be a bench mark ball for league. Overall this ball is great for different levels of competition. I bought a Rhino, am learning to bowl & was told by store owner it was a good entry to hook. Can't line it up in my hand to where my wrist is flat. My wrist is twisted outwardly & hurts to hold it that way. I can't line up my 2 fingers in the holes with the arrows. My index finger is lining up with the arrows instead of between mt 2 fingers that goes in the holes. It won't hook. Goes in the gutter mostly bc i can't line it up. It sticks to my fingers when i release it & would pull me over the foul line if i didn't hold on to the wall next to me. My index finger is hurt at the outside top nail area, like an ingrown toenail, from trying to hold the ball wher my wrist is flat. What on earth am i doing wrong? Hello DaRenda. I'm sorry for the trouble you are having. It will be hard to know what this could be without being in person and without being able to inspect the ball. Your best option may be to talk to a local proshop owner to see if they can find a solution or find the problem for you. If you have a spot on your finger that is rubbing you could try to use a protecting tape to help on this but that would be the only thing we could help with since we are not in person too see more. Hi Karen! We do offer basic drilling for this ball. Under the "select weight" tab where it says "drilling with Free Protection" you can select the size you will need. To view the sizing chart, please click on "details" under the price of drilling for $14.95. There you can determine the correct size for you. Unfortunately, we do not have the names of local drillers and the prices. The drilling offered on this ball are pre-determined sizes that we have selected. If you want to check the measurements you may click the details button out beside the drilling option above ($14.95) and it should show the hole sizes and span for each different size we offer. 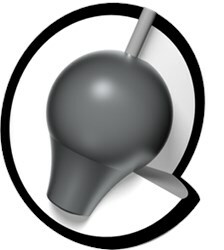 Would the 10 pound ball have a shaped core so that it will hook? Anything under a 14# ball will have a generic core. Is this a good ball for a novice with a 100 average, who bowls straight down the middle on a medium oily surface? Also, is this a plastic ball? This is an entry level ball for beginners who are learning how to hook the ball. It is not a plastic/spare ball. Hello Steve! This is a beginner ball, and therefore should not have a very high hook. Depending on how you throw the ball, there may be just a slight hook. I rev the ball quite a bit, looking for a ball I can control better on dry lane conditions or when the oil breaks down. Would this be a good ball for this? Hi Clint! Yes, this would be a great ball for when the lanes start to break down and a good ball to learn how to control. I bowled with a 14# Hammer many years ago. Now I am older and have balance issues. I can not get much curve anymore and want to change to a 12# ball. Would this ball work for me? I throw a very strong ball and I think that it hits before the curve starts. Any suggestions? If you throw a straight ball, you will want to look at our spare/plastic ball for this ball is an entry level ball that will have a slight hook. 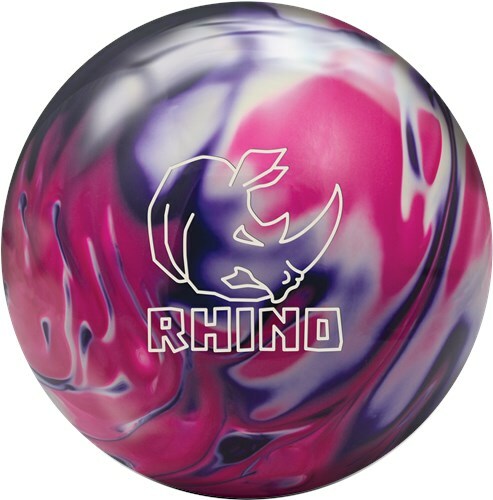 Due to the time it takes to produce the Brunswick Rhino Purple/Pink/White Pearl ball it will ship in immediately. We cannot ship this ball outside the United States.